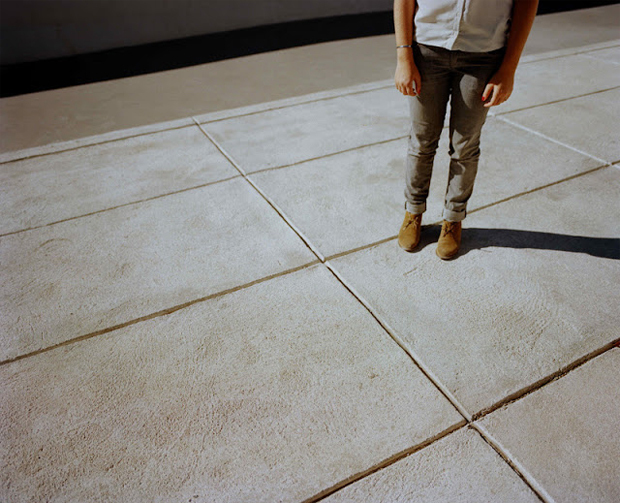 Today I’ve been around the houses in search for content, as my first preference is always to try and find a short film as I feel that these best convey a project, especially if they involve some kind of interview with the creative minds behind each. A handful of topics however, like architecture for example, rarely get regular documentation via a film, so I’ve turned my attention to photography for the time being, which I’m sure a lot of you are going to appreciate. 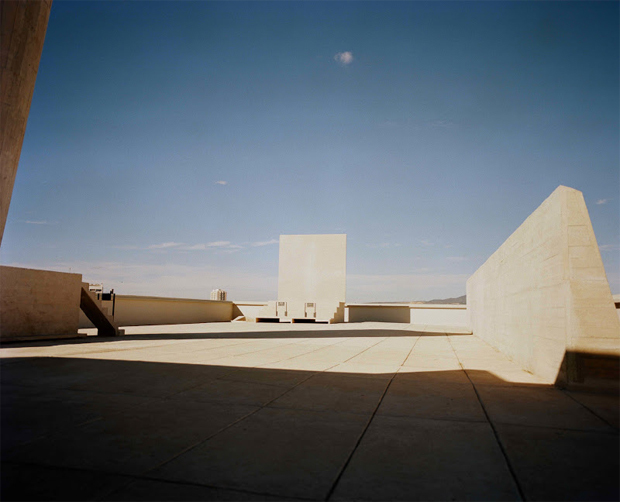 Marion Berrin is the photographer we are highlighting today, as she recently visited Marseille to pay homage to the work of one of Switzerland’s most coveted architects ever, Le Corbusier. 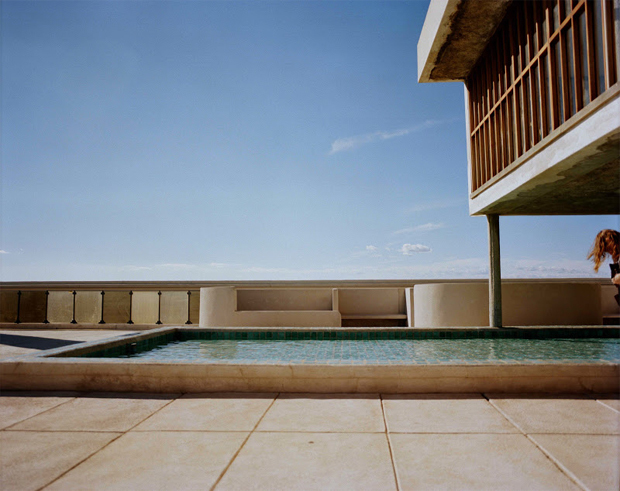 She’s captured quite a concise yet intriguing collection of photographs on her medium format camera of the architects La Radieuse build that felt quite honest and inviting to me. 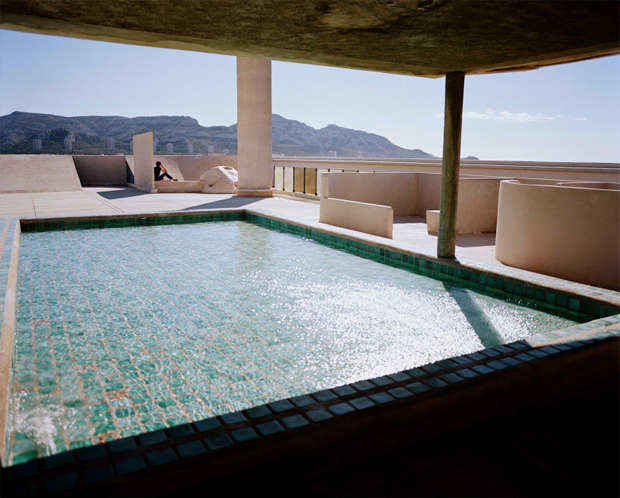 What we see here is the terrace of what is referred to as the “Radiant city of Marseille”, built between 1945 and 1952. The idea behind this was to implement a new way of living in the city, a vertical village if you will with the 337 apartments below this terrace sharing this space. 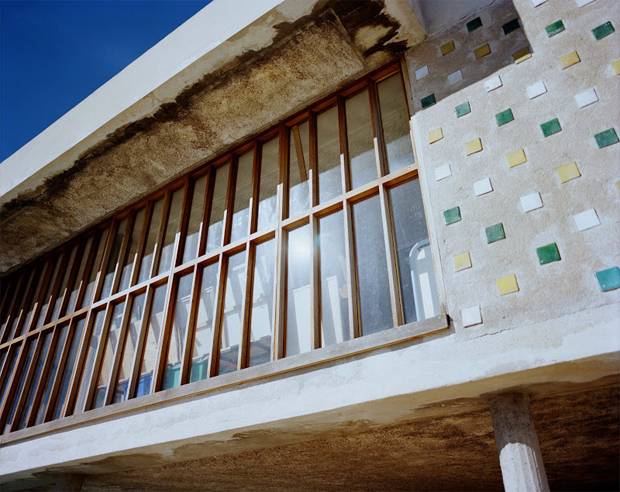 The structure on stilts in the image above is a bar and is one of five housing units built by Le Corbusier in his career. I’ll be the first to admit I’ve never been excited by the idea of living in a big city myself, I love the energy when visiting but I enjoy having greenery around me too much to stay. Saying this, the terrace we see here looks like something you rarely find in urban architecture in my opinion, very tranquil. Especially in the handful of shots we have of the small pool of water and the hillside terrain in the background. I think I’m often switched off by the lack of community in the larger cities but designs like we have here aim to promote this, I wonder how much of an impact these ideas had on those living in the apartments. This certainly looks like one of those places that I’ll have to put on my long list to visit before I die, judging by these photos here I’m sure it won’t disappoint. 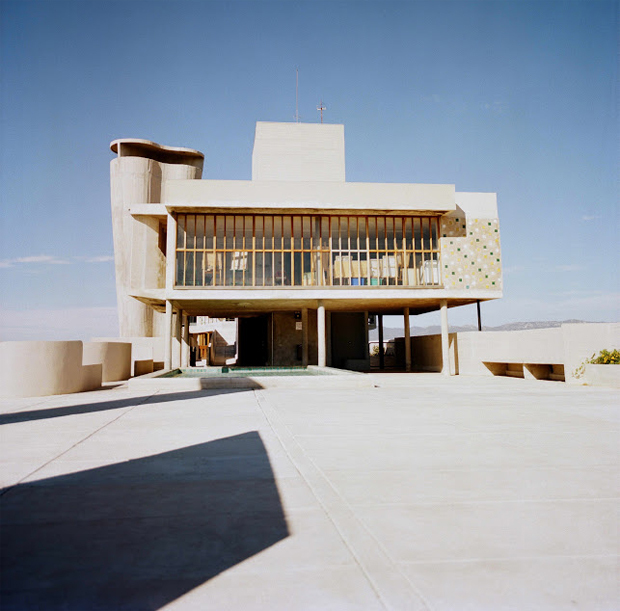 I’ll leave the relevant links below for you to go and browse, to see more from Le Corbusier I’d recommend having a search through our archive or alternatively have a look at the publications about him in our shop.